SummarizedBenchmark defines a flexible framework for benchmarking computational methods in R. Classes and functions are provided for defining, executing and evaluating benchmark experiments. The package builds on the SummarizedExperiment class to keep results organized, with outputs tied directly with important method metadata. This site is for the development version of the package. Documentation and examples for the current Bioconductor release version of the package can be found at the official release page. If you have any suggestions on how we can improve the package, let us know! SummarizedBenchmark can be used to apply several computational methods in R on a data set and to store and compare the subsequent results. This can include just a single method with different parameter settings, or methods written outside of R, but called using a system call from an R session. Generally, the package should be useful if you are trying to decide between several competing methods and would like to compare how they perform on one or more data sets. 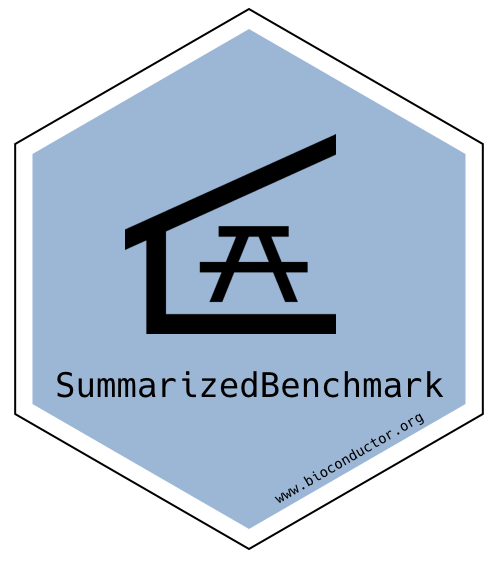 While we hope users find SummarizedBenchmark useful, it might not be suitable for all problems or data sets. Other frameworks for benchmarking methods include iCOBRA (a package for comparing results of “binary classification and ranking methods” with a Shiny web application for interactive analyses), rnaseqcomp (a package for comparing results of RNA-seq quantification pipelines), and dsc (a framework for “managing computational benchmarking experiments that compare several competing methods” written in Python but capable of running methods implemented in both Python and R). Developed by Alejandro Reyes, Patrick Kimes.